The heaven line from Final audio covers those with a balanced armature setup and comes in 3 different iterations all of which share the same basic external design. There is no doubt amongst the portable audio community that Final Audio Design make both look and sound beautiful. Recently we reviewed the FI-BA-SS and Adagio III and next week hope to bring you a very special review of the Pandora Hope VI, FADS first line of full size headphones. Today though we take a look at the Heaven IV (£169) and Heaven VI-CC (£599). 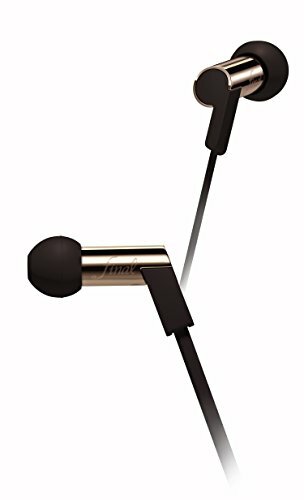 These earphones satiate 2 separate price points in the heaven line up but both offer something unique. The Heaven IV come in with a fairly standard cardboard box displaying nice graphics and some information on the earphones in Japanese. Whats really impressive though is when you open that box. There's no earphones presented here instead you are faced with the most beautiful chrome carry case ever seen included in a set of earphones. Simply stunning. The Heaven VI contains a faux crocodile box which is nice and similar to that used on the FI-BA-SS and also come inside that beautiful carry case. Hats off to Final Audio for really knowing how to make a product feel very special. Both Earphones come with the same set of accessories, namely that simply stunning carry case which is chromed stainless steel on the outside whilst being padded inside. There is also a clip on the inside of the case which helps to keep the IEM from moving about. A few size of tips are also included and are of excellent quality. 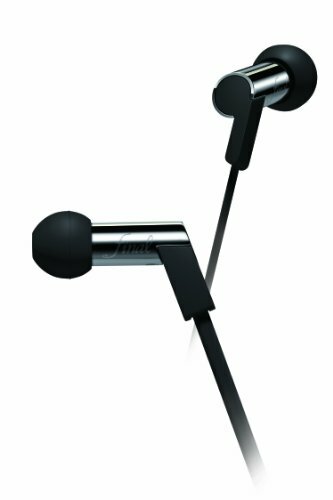 Build quality is excellent and the earphones are both lookers. The IV comes in a chrome stainless steel finished housing with purple cable and tips (also available in white) where the VI-CC comes in with a chrome copper housing and a brown cable and tips. The Chrome copper version is actually designed to age and look even more unique with age. They look absolutely identical apart from the different color schemes. Both have a flat cable, which performed with aplomb, barrel designed housing and look classy and refined all the while displaying the Final logo on the side. Overall they are built to a very high standard and there is very little one could criticize with regards to build quality. The Heaven IV is meant to satisfy those that like a concert hall sound but in reality, it performs well with a host of genres. The speed of the balanced armature along with the BAM technology combines well making the presentation open and with a great level of separation. It has a lot more weight in the low section than most of the normal BA offerings, it's a signature which you would expect with a multi driver setup. Highs – Highs are crisp and clean but it's not an overly bright earphone and good amounts of details are retrieved which is to be expected from the BA driver. Mids – The midrange is brilliant with vocals and guitars sounding especially nice. Female vocals are magnificent and the IV even manage to handle Asian female vocalists and their slightly peaky upper mids. Guitar strings sound clean and resonate well and violins come across beautifully especially when you are listening to them in an ensemble. Lows – Even though midrange is the star of the show it's hard not to notice that the bass is tight, clear and very controlled. It doesn't have the ability to go low with a massive amount of rumble but even so, it is much more capable than any other single BA that I have heard at this price point. Overall the sound of the Heaven IV is extremely enjoyable, One that you could happily listen to every day and it looks very hard to beat in the sub £200 category. That is just for the sound alone but when you take into account the build quality, style and the carry case this actually becomes the real value for money. We have established that the heaven 4 is excellent but now we have the VI, and it's quite the price jump to get there. The VI-CC can be considered a nice refinement over the IV in almost every single way, it's a lot of money for a refinement but if you are trying to squeeze every last drop out then you won't mind the increase. The soundstage appear slightly wider, the bass is somewhat fuller and the detail retrieval is also slightly higher than that of the IV. Directly AB testing them they have very similar properties but the VI is noticeably better all around. At a time when multi BA's and Hybrids are all the rage Mr. Takai and Final manage to show just how much performance can be dragged out of a single driver. Highs – Super smooth and super detailed. The highs have all the same characteristics as the Heaven IV but are presented in a more laid back and smooth manner. This combined with the airy soundstage make the treble decay a little longer than usual which is nice. If you compare them with the FI-BA-SS I would say I actually prefer the VI in this frequency as it's a touch less hot. Mids – Some of the best minds that have ever come out an earphone at any price. These are seriously good performers offering up lots of separation and detail whilst very accurately presenting the midrange with a hint of warmth, just as if you were sitting at an intimate showing. The vocals are stunning and without a doubt the best part of the earphone the first thing I noticed when playing back Scar Tissue by Red Hot Chilli Peppers was that I had never heard Anthony Keidis sound so good...... and then the weeping guitar solo..... the tuning of these earphones is just magnificent. Lows – It goes lower than the IV but not with quite the amount of rumble found in the FI-BA-SS. They also sit almost perfectly in line with the other frequencies. Good speed and great bass detail help them to sound just about as close to perfect for my taste. Overall the sound of the VI is very very nice. It certainly puts it amongst the top performers in single BA territory with the only other competition I can think of being its sibling the FI-BA-SS. The signature is one that works well with almost every genre and despite the technical brilliance of the FI-BA-SS, I think I would probably take the VI as it is a more versatile sound signature to use on a wider range of music. The FI-BA-SS has the bigger soundstage of the 2 but the VI comes with very realistic and liquid vocals and with an overall smoother presentation. Over the past few weeks I have had the pleasure of having 5 different Final Audio Design earphones to listen to and the one thing I can say for sure is that each one is tuned to perform a specific purpose. For bassheads theres the Adagio III. For great value, incredible sub £200 sound, beautiful style build and accessories there is the Heaven IV. Finally for those who have very little desire to compromise and want to wring every last ounce of performance out of the Final Audio balanced armature IEM's then there is the VI and the FI-BA-SS. Choosing between the latter 2 options is a much harder proposition. The VI is the smoother of the 2 and the FI-BA-SS is a bit more V shaped with hotter treble and a bigger soundstage but both are brilliant performers in their own regard. Whatever Final Audio you decide to go for you can be safe in the knowledge that you really going to be enjoying your music.